Welcome to St. Andrew and St Francis CE Primary School admissions page. All Applications for places in St Andrew and St Francis CE Primary School must be made directly to the school office using the Supplementary Information Form (If its for a place in the PAN London Reception intake for St Andrew and St Francis - also Apply online through the eAdmissions website) . These forms are also available from the School Office. Prospective parents and pupils are welcome to visit the school by appointment made with the School Office. The Governing Body is responsible for admissions into the school. Should there be more applications than places available the Governors will follow the Schools Published Admissions Criteria (Please follow the links above). PM sessions run from 12.30pm – 3.30pm. Parents should note that a place in the Reception class is not guaranteed for children in the Nursery. 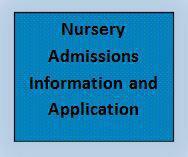 Parents will need to apply for a place in the Reception class via the School Office and the Local Authority. An induction meeting for entry into the Nursery class is held each Summer Term of the year of admission in order that pupils and parents can meet the class teacher and the Nursery TA. At this meeting, details of the staggered entry system into the Nursery year will be made available to parents. There are 60 Reception places at St. Andrew and St Francis CE Primary School. Each class is staffed with a Class Teacher and a Teaching Assistant. 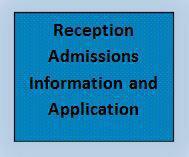 Children admitted to the Reception, start school in the Autumn Term in a staggered intake system for a number week. During their first week, children stay for morning sessions only, and we ask that parents/carers stay with them to ease their settling in. An induction meeting for entry into the Reception class is held each Summer Term of the year of admission in order that pupils and parents can meet the Reception Teachers and Teaching Assistants. At this meeting, details of the staggered entry system into the Reception year will be made available to parents. Enquiries regarding the availability of places further up the school should be made to the School Administrator. As with Reception admissions, applications for places in St. Andrews and St Francis CE Primary School must be made on the School Information Form to the schools Admissions team. These forms are available from the School Office. A waiting list will be in operation. Parents who wish their children to join the school at a time other than the annual autumn admission, are also subject to the admission criteria; should there be more children on the waiting list than places available. 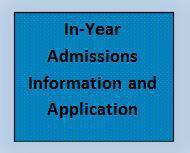 The Admissions Panel reserves the right not to consider applications, which are submitted after the specified deadline. When a place becomes available, families will be contacted to ascertain whether the place is still required, before the applications on the waiting list are processed according to the Governors’ Criteria. Successful applicants will be notified via a letter of confirmation. Proof of Address of Parent/Legal Guardian. Birth Certificate OR Passport belonging to the child. For criteria 2-6 a completed School's Supplementary form (duly completed and signed in his own hand by the parish priest, minister or overseeing pastor) which confirms the parent's commitment to and regular involvement in worship at their church, so that governors can consider the application fully. Parents are advised to urge their priest, minister or pastor to return the Supplementary application form on or before the deadline date. In order to be considered for a place at the school parents must complete the Schools Information Form. This should be returned to the School Office. For consideration under the schools criteria. 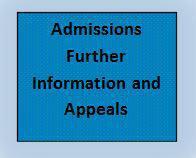 This is an overview of the school admissions for further details please click the links at the top of the page. London Borough of Brent Links to school admissions page.